You’re never too young to sort your serifs from your sans-serifs (and to know that there’s a world of fonts beyond Times New Roman). Graphic designer Jeremy Dooley has always loved fonts but it wasn’t until his son arrived that he noticed that not all ‘A’s are created equal, particularly through the eyes of toddlers. 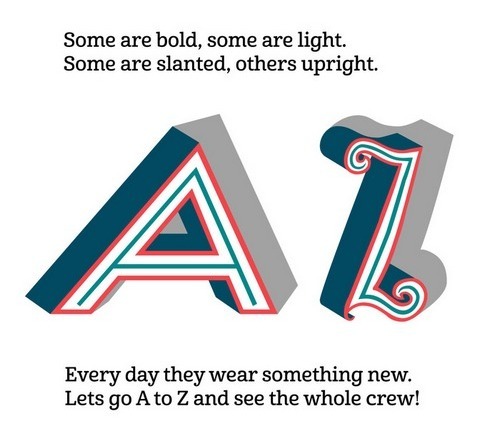 Wanting to create something to help his son recognise and understand fonts and to appreciate their creativity, Dooley has written a board book titled The Clothes Letters Wear. 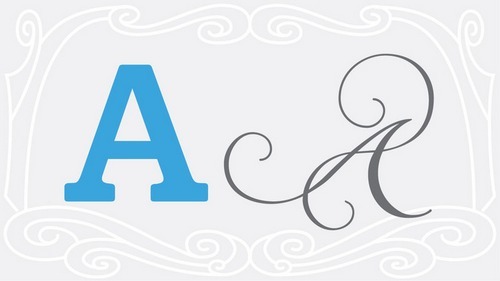 The concept of the book is simple – the details of type are shown through illustrations of letters playing dress-ups. 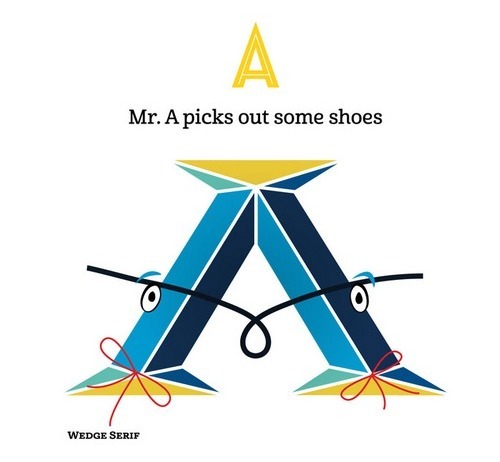 A wedge serif becomes a neat pair of ‘shoes’ for Mr. A while the A,B and Cs try on different colours for size. Knowing that there is an increasing emphasis on type design (note to parents – kids type these days, handwriting is on the out), Dooley also created a custom typeface for the book, Cabrito. Cabrito (which means ‘little goat’ in Spanish) is based on Bookman Old Style, which is often used for children’s books due to its legibility. Further research into legibility revealed that Comic Sans is easy on the eyes of young readers (it’s all about the large, rounded lowercase letters) and that fonts closer to handwriting also appeal. All of these factors went into the mix when Dooley created Cabrito. 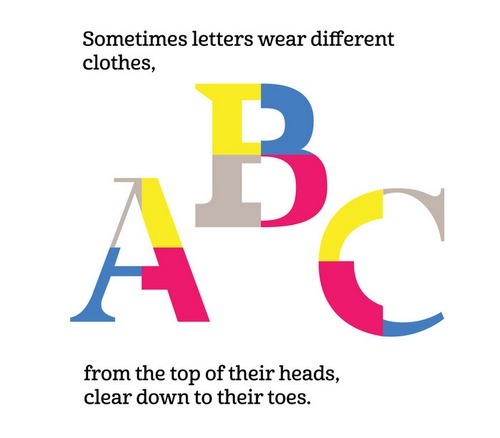 Although it’s unlikely that your toddler will spot the differences between Helvetica and Neue Haas Grotesk or truly appreciate why the almost century old Futura is the epitome of modern, The Clothes Letters Wear is a perfect introduction to the wonderful world of fonts. 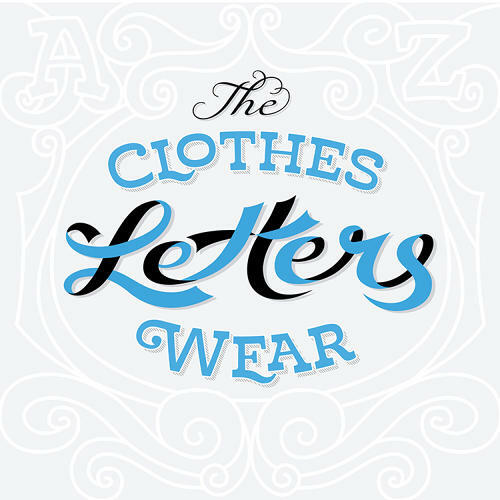 The Clothes Letters Wear was part of a successful Kickstarter project – stay tuned for the release date.